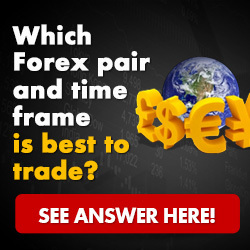 A Certified Financial Planner has developed a simple system for beating the Commodity Markets on a regular basis and implementing his system in only about 30 minutes per day. Fred Rouse, or “The Money Doctor” as he is called by his many students, has been focused on helping investors build up their portfolios for about 30 years and his methods include using an IRA to do your trading . Since the mid-80s, his diversified Financial Management Group has helped hundreds of select individuals and small businesses of up to six employees throughout the greater Philadelphia area. With nearly 30 years of tax, asset protection, business and trading experience, he shows Clients how to reduce their taxes and structure their businesses for the maximum tax savings, asset protection and privacy. Dr. Rouse has the “Only Complete Trading System” that was designed, tested and approved by a Certified Financial Planner® that guides students on how to double their annual income in less than 30 minutes per day. He adamantly insists that his students prove their results to themselves before risking any actual trading capital. With Dr. Rouse’s revolutionary approach to commodities trading, he believes it is possible for students to make a million dollars over the course of seven years and demonstrates exactly that in his webinar on money. Dr. Rouse’s desire to share his vast wisdom has led him to become a bestselling author. His works include The END of YOUR EMPLOYMENT: 10 Keys to Your Ideal Business and The Real Money Doctor’s College Student’s Money Guide. He also penned a thought-provoking chapter called “The Truth” for Soul of Success, Vol. 1: The World’s Leading Entrepreneurs and Professionals Reveal Their Core Strategies for Getting to the Heart of Health Wealth and Success, a volume co-authored by Jack Canfield of Chicken Soup for the Soul® fame. For those intrigued to learn more about the course, Dr. Rouse offers a free two-hour webinar in which he exposes eight mind-blowing “money lies” that the government, Wall Street and the banks have been concealing from average working Americans for decades about money, taxes and trading. He teaches people how to turn those lies around and exploit them into cash and a secure financial future for themselves and their families, so they never have to worry about money again. Dr. Rouse has the first and ONLY course that tells you how to trade commodities inside of an IRA and what to expect when you do. “This is the key to real long-term financial security that people just don’t know about, including most professional advisors. In fact, after close to 30 years in business, I don’t know of any trading course or any professional advisor that covers how to do this,” he states.